Sell Surface Pro | How Much is My Surface Pro Worth? *Price subject to change. Quote in dropdown is final. 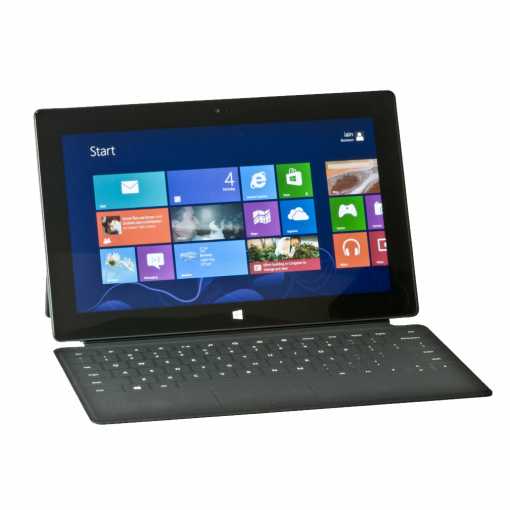 Sell your Surface Pro for top dollar at GreenBuyback. Select the information above in order to receive an accurate quote for the Surface Pro you want to sell. Click sell item if you agree with the price that is displayed. GreenBuyback purchases tablets, and laptops at the highest prices in the industry! GreenBuyback pays cash for your old tablets and laptops. Sell your Surface Pro for cash today! Microsoft's Surface Pro is a top rated tablet since 2014. The sleek and stylish design is backed up by best in class technology. The Surface Pro is a tablet, a notebook, and a laptop all rolled up into one chic product. Selling a Surface Pro is so easy with GreenBuyback; send your Surface Pro to GreenBuyback with free shipping and you’ll get cash sent to you fast! In tests, the Surface Pro performed better than Apple's MacBook Air for power and battery life. If you are trying to decide between a tablet or a laptop -- the Surface Pro is the answer to your needs! GreenBuyback will buy your Surface Pro in any condition, even broken! Simply head to GreenBuyback to get a quote, send your Surface Pro in, and get cash quick!